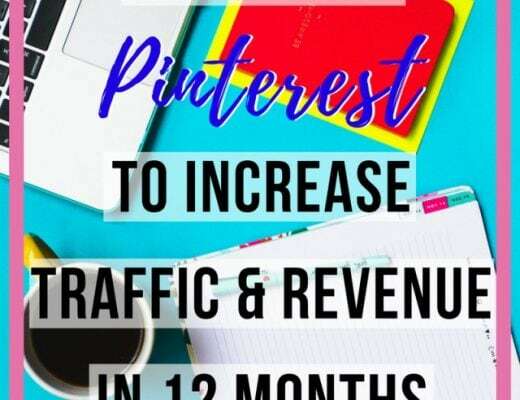 Pinterest has the potential to grow your blog and increase your traffic. And it has gotten easier with Pinterest Partner, Tailwind App. If you think Pinterest is for only food bloggers, you are missing out on potential leads and traffic. No time? Don’t worry, I got you covered. 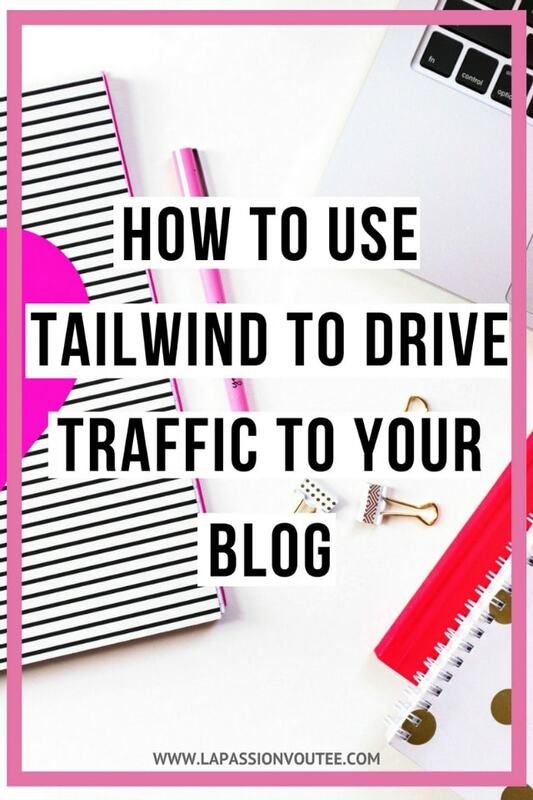 In this post, I will show you how to save time scheduling your pins to Pinterest with Tailwind so you can focus your attention on other great strategies to promote your blog. In February of 2016, I decided to take this whole blogging thing seriously. I had heard so much from people raving about Pinterest. And frankly, I couldn’t be bothered. Why? I was already spread too thin promoting my blog around social media. Facebook, Instagram, Twitter, Tumblr and Snapchat and many other niche sites were sucking the life out of me. After numerous recommendations, I decided to give Pinterest a chance. And boom! It all started to fall into place. Pinterest has suddenly become my biggest social referral even without having a pin go viral… yet. I can only imagine what that would look like. With Pinterest, the more active your account is, the more followers you get. With more followers, you have greater odds of your pins getting discovered. With discovery comes a flood of blog traffic. As of 11/2018, I have close to 40,000 followers on Pinterest! 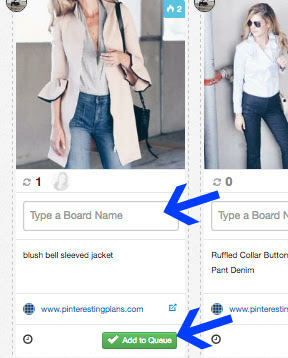 Unlike Facebook, Twitter, and now Instagram, where posts from previous days get lost, Pinterest is a mini search engine. Like Google, quality pins (as indicated by # repins, likes, and clicks) rank at the top of search results regardless of when it was pinned. Because Pinterest rewards active members, you want to stay active by pinning great content frequently. When I started out, I was trying to manually share about 10 pins per day but it was hard remembering to pin often. Then I tried Ahalogy. It was ok for a while but you have to share other members stuff. I had to dig hard to find pins that I liked. And that too became tasking than what it was worth (free). There are many pin scheduling services including ViralTag (too expensive), and Buffer (not very detailed analytics), and Board Booster (which shut its doors on 06/2018). Tailwind App for Pinterest was (and is) by far my favorite because they allowed me try out the service with 100 free pins and no credit card requirement! UPDATE 07/2017: I have updated this post to reflect my current Pinterest stats. Pinterest is now the #1 source of referral to my blog! It is amazing how much everything has changed in the span of one year. How Does Tailwind for Pinterest Work? Here are 10+ reasons why I love, use, and highly recommend Tailwind as a Pinterest scheduler. The ability to painlessly bulk schedule a bunch of pins at the same time was one of the top selling points of Tailwind. The Tailwind Chrome Extension makes scheduling pins from Pinterest and any website very convenient. I can easily schedule pins with just a simple click. Do you have photos on your computer? No problem! You can bulk upload images to your Tailwind account as well. Another amazing feature of Tailwind. 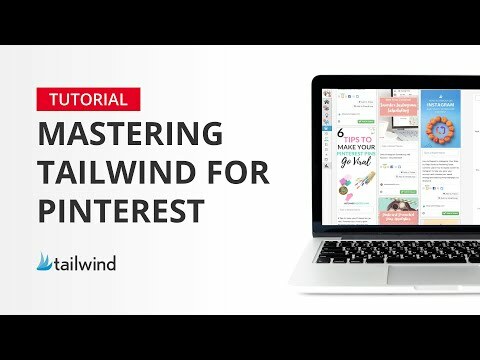 Once you connect your Pinterest account to Tailwind, Tailwind automatically optimizes your pinning schedule so that you pin when your followers are most active. 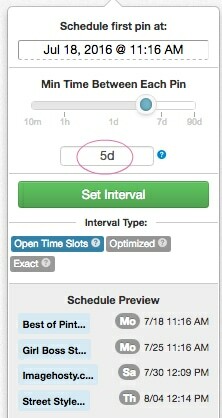 This feature takes out the guesswork of trying to figure out when to pin. Although it’s a consensus that pinning at evenings is best, we all have different audience so Tailwind tailors your schedule accordingly. Want to set up your own customized schedule? Tailwind allows you to do that easily! Packed full with awesomeness, you can view how well your boards (regular, secret – not that you care, and group boards) are performing on Pinterest. This is, you guessed right, an invaluable asset of Tailwind. Getting this insight gives you more information on whether you should pin more or less to certain boards or even leave an inactive Pinterest board. P.S: Inactive boards affect your ranking. An advantage of using Tailwind is definitely creating board lists. This is a HUGE time saver! If you focus on different categories (lifestyle, beauty, fashion, food, etc.) you can easily create board lists to group similar boards together. When it’s time to schedule a recipe, you simply click on the dropdown for “food list” and Tailwind populates your pin with the selected boards. Using this feature saves me the time of scrolling through my 40 Pinterest boards in search of the numerous street style boards that I contribute to. It gets even better! You can even select more than one board list and add individual boards. When you sign up for the annual Plus plan ($10/month), you can schedule an unlimited number of pins with Tailwind (or 400 pins/month with month-to-month subscription). For comparison, Board Booster charges $10 for up 1,000 pins per month. ViralTag charges $24/month for unlimited pins while Buffers goes for $10 for up to 100 scheduled pins at any particular time. This should be reason enough to fall in love with Tailwind! I can schedule an unlimited number of pins with TailWind and it costs less with fewer restrictions/limitations. 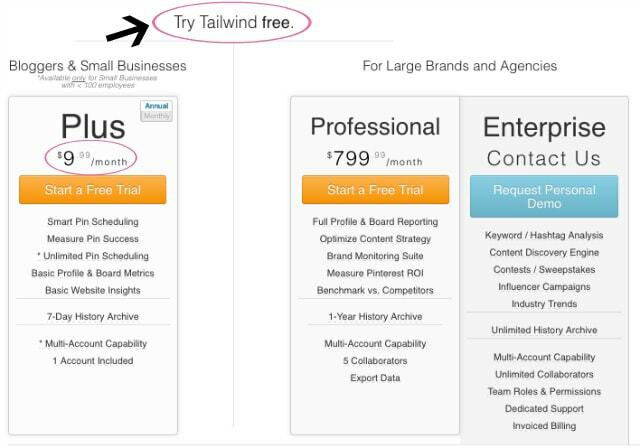 GET STARTED WITH TAILWIND FOR FREE! If you are a contributor to several similar boards, you would love the ability to set intervals for a pin that fits into all of these boards. 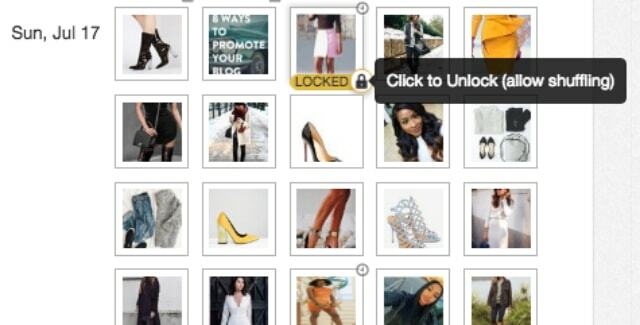 You may be tempted to post that gorgeous outfit pin to all fashion boards at the same time but that action reduces your chances of being discovered and can be considered as spam. With interval pinning, you schedule your pin to be posted on each board according to a timing of your liking (minutes/hours/days/weeks). I personally prefer to space out my pin by a few days. By the time the pin gets posted on the next board, it should have garnered a few repins. You don’t want to get flagged as an account that shares spam content. Unfortunately, there are some pins that link to fraudulent websites. The only way to know is by checking every pin before you share it on your board. This in itself can be tedious! I use Tailwind’s bulk scheduling to save a group of pins to draft throughout the week. 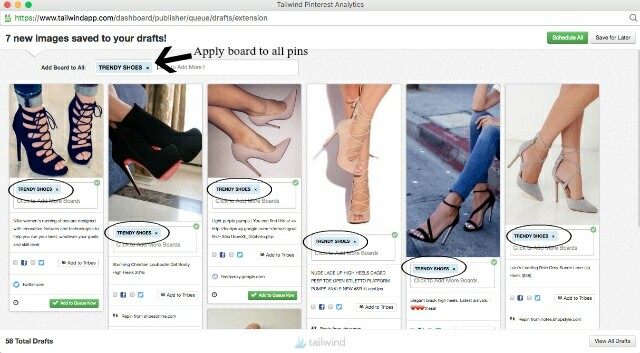 When I am ready to schedule the pins to be posted on my account, Tailwind automatically checks all pins to make sure that they meet Pinterest’s requirement. Tailwind flags all pins that have no description, have no link, or that link to suspicious websites. I can choose to fix the pins or just delete them all. Just like that! So now I have a bulk load of pins that I have just scheduled. I search for similar pins at the same time so when they are scheduled, all these similar pins are clumped together. With the push of a button, Tailwind randomly shuffles my pins to mix my content. Taking it a step further, I can lock certain pins that I do not want shuffled into time blocks. I usually use this feature for pins from my blog. I like to keep a daily pinning ratio of 30/70 blog to other people’s pin. By locking my blog pins, I’ll be certain that pins from my blog are constantly shared 30% of the time every day. With a Pinterest business account, you get access to your analytics information. Although helpful, it has limited information. However, Tailwind provides very detailed analytics on your Pinterest account. You get to see your viral pins so that you can repin those pins more often. In addition, you will know your top performing boards (so you can create a pining strategy to pin there more often). You also get weekly updates on your growth metrics. Yay, to pinning smarter! One very unique feature of Tailwind that I have not found on any other scheduling platform is the ability to join and create Tailwind Tribes. The purpose of Tribes is to make it easy to collaborate and share content to grow your reach. Tribe is free for anyone to join even if you do not have a Tailwind subscription! The only way to see Tribes in your dashboard is to be invited to join one. The reason is because Tailwind Tribes is still in its early stages of development. 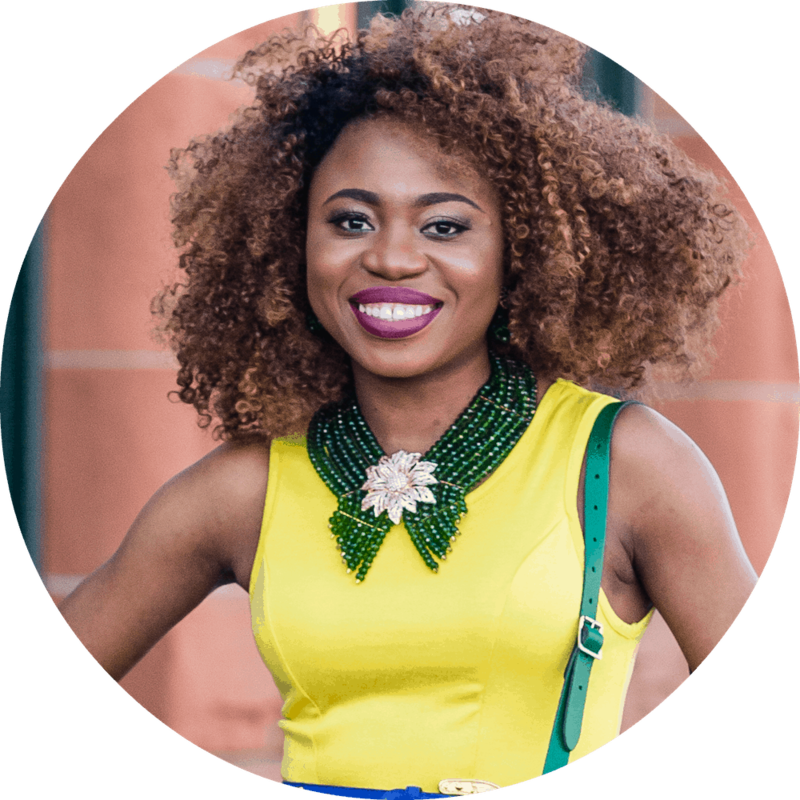 If you are interested, I have one for Female Fashion Bloggers that you can join. Once you join a Tribe, you can create your own Tribe for other collaborations. 1. Install the Tailwind Chrome extension. The Tailwind button will now show up on pinnable images. 2. Go to your blog, Pinterest, or website you want to pin from. 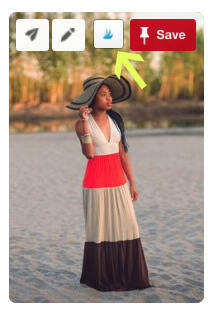 Hover over the image you want to pin or add to tribe. 3. Click on “Schedule“. Then select “Add to Tribes” to add image to a tribe. 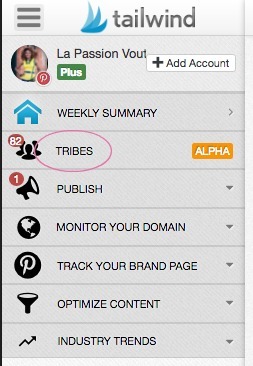 Now members of the tribe will see your pins in the Tribe dashboard. And that’s it! Tailwind will automatically schedule and publish the pin at your optimized time. No need to manually publish it. Tailwind is one of the few partners of the Pinterest Marketing Developer Partner program. The program grants partners access to Content Publishing API. Who doesn’t like a free trial without credit card commitment? Tailwind allows you to try out their service absolutely free without any credit credit requirement. You get 100 free pins to try Tailwind and you get access to all the features of the Plus account which includes the amazing features described above. The free trial was actually how I got hooked on Tailwind. Your life i.e. your blog will never be the same again! P.S: Tailwind has an amazing customer service. Your questions actually get answered… within hours! Let’s make that #13. Convinced? Get your free Tailwind trial AND $15 off using the link below. Hi LaTi, building a following takes time. Besides sharing your content on social with a call to action to drive them back to your blog, focus on keyword research and seo optimized evergreen content that is completely fleshed out. Use catchy but relevant subject lines to increase click rate. Hope this helps! Thanks so much for the info!! I’ve heard a lot about Tailwind, but I’m just starting to break in. This helped a lot!! Great article! 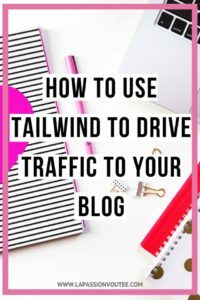 I recently became a blogger and am on my way to go create an account with Tailwind. Thanks for sharing! You’re welcome, Liz. Glad you found this post helpful. This post is of enormous value as there are little things I did not understand, like timing pins etc. Thank you so much. Thank you for explaining everything and make it so clear! You convinced me it’s the next step i should take in order to drive more traffic to my blog ? Hello Karla, I’m happy you found this post helpful and straightforward 🙂 Thank you! Great info… I’ve been meaning to use a scheduling pin service for a while now but haven’t started. Taiwind sounds great, I think I will give it a try. Manually pinning is definitely time consuming. This is a great detailed post On Tailwind. I did the free trial and liked it. But I decided to go with BoardBooster for now. Glad you gave Tailwind a try Shoaib and decided that BoardBooster better meets your needs. Fantastic post! I’ve been trying to decide between BoardBooster and Tailwind, and you just convinced me (and since you’re the one who finally convinced me, I’ll use your affiliate link to sign up!). I love the Tribes feature on Tailwind, the spam checker, the shuffle feature, and the fact that Tailwind is a verified Pinterest partner. Thanks so much for the valuable info. Oh wow! Thank you Erin! That is SO kind of you :). I’m glad you found this information valuable. Let me know if you have any questions. This is SUCH a helpful post! I love Tailwind and I didn’t even know about some of these features. Totally trying these out! Glad you found this post helpful, Lexi. Tailwind is amazingggg! Hello Hillary, I’m glad you found this post helpful. In order to bulk schedule multiple images at the same time to the same board, you need to install the Tailwind browser extension. Once installed, you simply click on the extension, select all the images you want to pin, then click “Go to schedule”. At the very top of the scheduling page, you’ll see the option to “Add Board to All” images (see screenshot from #1 above). Type in the board(s) name(s) and it automatically pre-populates on all the images like magic. You can then schedule all pins or save to draft for later. Hope this helps! This is a great detailed post On Tailwind. I did the free trial and liked it. But I decided to go with BoardBooster for now. I don’t have a lot of content to pin and my blog doesn’t make money so I couldn’t justify the $10 now. I did like that tailwind would provide reco times for pinning and had great analytics. Thanks Leah. Tailwind and Board Booster have very unique features. The suggested pinning times on Tailwind is super amazing. Pricing-wise I liked that Tailwind offers unlimited pinning with the $10 Plus Plan if paid annually (+15% off). But if you’re going month-to-month, Board Booster’s $5 plan is the way to go. You’ll get 500 pins with Board Booster’s $5 plan vs. 400 pins for $10 with Tailwind’s $10 month-to-month Plus plan. I’m on vacation after today so i’m going to check this out. This would work on my busy weeks too. Thanks for sharing! I’ve been using Tailwind for about 3 months now and I’ve doubled my followers from 7k to 14 k. Traffic to my blog has increased, too! I use boardbooster also but I don’t use it as much as 1 penny per pin does add up. I have heard so much about this and I really need to start using it! Tailwind is pretty awesome. You’ll be glad you started using it. Tailwind is packed full with features. Thanks Glenda, I’m glad you like the tips. 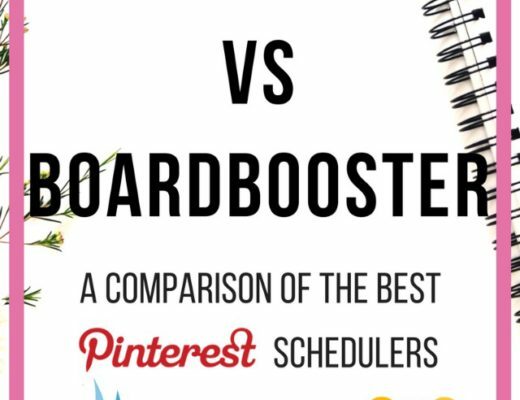 I use Tailwind for some of my clients, but Boardbooster has my heart. Tailwind definitely has some awesome features though. I’m currently trying out Boardbooster. They both have some features unique to themselves. Love this! Tailwind has helped my Pinterest strategy tremendously! Me too! Thanks for sharing your experience Rachel. Great information! I get emails from them all time, but I’ve never checked them out. They are definitely worth checking out Shantel. I was a little skeptical at first. But now I’m sold. I’ve been meaning to try Tailwind and you just highlighted some other features that I didn’t know about! I started using Tailwind last month and love it, too. But I had NO IDEA all these features. Saving this page to go back and read much more thoroughly! Tailwind is AWESOME!! I’m glad you learned about some of the additional features of Tailwind from this post. Thanks for saving! This is so great! Thank you so much for sharing this. Thanks for sharing this. 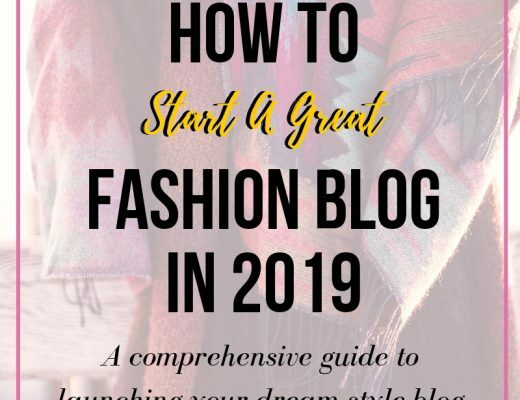 I’ve been meaning to get round to using Pinterest for my blog for a while and this has given me the kick start I needed! I’m happy you’re getting started with Pinterest. Good luck!